Be2Bliss respects (hereinafter refered to B2B) the privacy of all users visiting our website and has made the protection of your data with regard to any use on the internet our utmost priority. This means B2B pledges to treat all information made available by you with the utmost care and responsibility. This applies in particular when cooperating with third parties and partner companies. However, B2B takes no responsibility for third parties, unless expressly stated. Collection, Processing and Use of Personal Data To be able to provide you with the merchandise you ordered, B2B exclusively collects, stores and processes personal data without your express permission in accordance with the standard, legally valid regulations as far as is required and deemed necessary for fulfilling the contractually agreed service obligations between B2B and you, the customer. Any additional collection, processing and use of personal data will only be initiated once you have given us your written permission. The term "personal data" includes all details that you enter on the My-contactlens.com website and enables personal identification (name, address, landline and mobile phone numbers). You might already have consented to the following declaration whilst visiting our website. Please note that you can withdraw your consent in writing at any time with future effect. If you subscribe to our newsletter, we will use your e-mail address (with your permission) for marketing purposes, until we receive your request to unsubscribe in writing. You can read through our Terms & Conditions at any time. In order to improve our range of products, B2B uses so-called "cookies" (compact data packages that contain configuration information). The data stored in these cookies does not permit you to be identified, and cannot be attributed to a particular individual. Cookies can be deactivated in your browser's preferences. Security of Personal Information B2B ensures that all information collected will be safely and securely stored. We protect your personal information by restricting access to personal information; maintaining technology products to prevent unauthorized computer access; securely destroying your personal information when it's no longer needed for our record retention purposes.B2B uses secure sockets layer encryption technology when processing your financial details. Where necessary, B2B might pass on payment details to its principal bank in order to process payments. We may also pass on details of your shipping address to the company commissioned with the delivery of your order. B2B is prohibited from transmitting or reselling customer data to third parties, there are grounds to believe that the disclosure is necessary to prevent a threat to life or health, or for law enforcement purposes. In accordance with the personal data protection act, PDPA each user is entitled to enquire about any personal data that has been stored and (where warranted) also has the right to demand that personal data be modified, blocked or deleted free of charge. 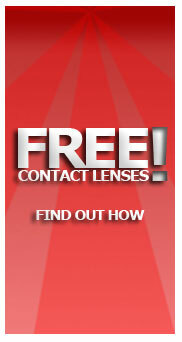 In this case the user must contact us at sales@my-contactlens.com. Each user can withdraw their consent at any time with future effect and without giving a particular reason by writing to the following email address sales@my-contactlens.com. Every e-mail sent by My-contactlens.com contains a notice to this effect. B2B reserves the right to modify and change the Privacy Statement at any time. Any changes to this policy will be published on My-contactlens.com site.